When thinking about manufacturing facilities, one standard image comes to mind: large brick and mortar structures that are very utilitarian both inside and out. Through the years, brick and mortar has become the natural choice for manufacturing facilities across the globe. However, advancements in the fabric building industry are making tension structures just as attractive as traditional buildings, if not more so. As with any office space, the interior of a manufacturing facility or warehouse greatly impacts the employees who work there. Interiors that are dark and unwelcoming can lower employee morale, decrease overall productivity, and increase employee turnover. Fabric buildings have the ability to improve working conditions in a variety of ways. Not only can fabric structures give the interior of your manufacturing space a softer, more appealing feel, but the temperature can be easily regulated as well. When brick and mortar buildings experience damage, they become more than just eyesores for employees; the particles chipping from the walls and ceilings can be inhaled, causing health problems. This problem can be avoided through the construction of a fabric building. Manufacturing plants tend to use large amounts of energy on a daily basis. Fabric buildings can help owners reduce energy usage and decrease the need for artificial light during daylight hours. Fabric structures have a certain degree of translucency, allowing natural light to enter the interior of a building. This means overall lower electricity costs during the day. With the proper insulation, fabric buildings can naturally be warmer in the winter or cooler in the summer, unlike brick and mortar structures. Plant and warehouse owners will not need to heat or cool buildings at the same rate, decreasing energy costs. 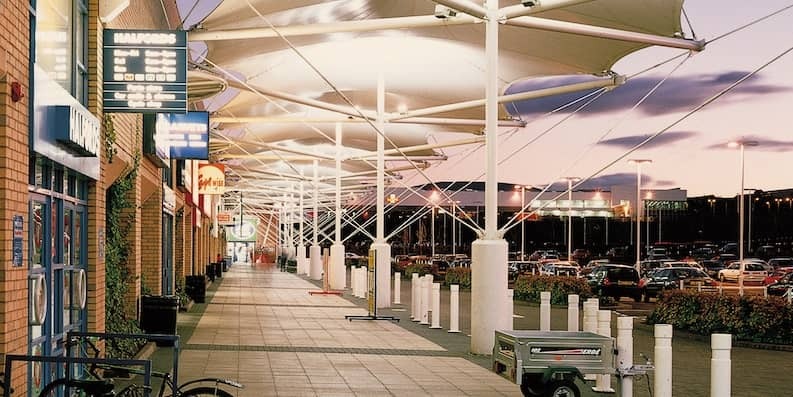 Fabric structures can be engineered to have a long lifespan. On the other hand, brick and mortar structures tend to have a finite lifespan. Once your brick and mortar plant or warehouse hits date, you have to move, demolish and/or replace. Fabric structures are easy to repair and update, and can be engineered to be portable in the event a larger space is required. What other benefits do fabric structures have over traditional brick and mortar buildings? Tell us about them in the comments.